Riverside Studio features pottery & basket weaving and frequently offers classes. Call for information. Sage Place is a studio for art and art education. The studio features a retail store with beading, glass and jewelry-making supplies as well as a large classroom for classes in stained glass, beading, photography, painting, carving, and more. Call, drop by, or visit their website for more information. Forget-Me-Knots provides a place for quilters of all experience levels to learn new skills and projects and purchase the materials they need to make beautiful quilts. Their many classes include introductory lessons in basket weaving, quilting and sewing, projects such as pincushions, bags and sewing machine caddies, technique skills in binding, mitered borders and appliqué, and frequent “UFO – Get ‘Er Done Workshops” where participants can get help completing projects. Attached to Forget-Me-Knots is Me-Shell’s By The Seashore, a retreat center for quilters. They offer organized retreat sessions, but it is also available to rent for groups up to eight people to create their own retreat. It is equipped with everything a group of friends could need for a few days or more of quilting and relaxing together. Visit the website or give a call for more information. Gallery with shows featuring a variety of arts. They also offer many different art classes that change each month. See their website for more information and schedules. The wool company is a local source for carded wool and handspun yarn. They also carry commercial yarns and fibers, weaving supplies, books, needles and accessories. The Wool Company offers weekly “Fix it Friday” workshops where folks are invited to bring in knitting and crocheting projects they may need help completing. The Washed Ashore project involves community members of all ages in cleaning up our beaches and turning debris into art supplies to create unique works of art. Participate in free community art workshops every Saturday from 2-5 p.m. and Thursdays from 5-8 p.m. at Art 101 at 47134 Highway 101 in Bandon. See more information about at our Washed Ashore Page. There are a number of stores and shops in the area that sell myrtlewood crafts and gifts. Visit our Myrtlewood Page to learn more about this exotic and rare hardwood. Zumwalt’s is a factory where myrtlewood products such as bowls, spoons, kitchen items and clocks are made. They sell their merchandise on site in their gift store, items are available to order through their website, and they take custom orders as well. Among many gift items, antiques, clothes and fudge is a selection of myrtlewood items. Visit them in Old Town Bandon. 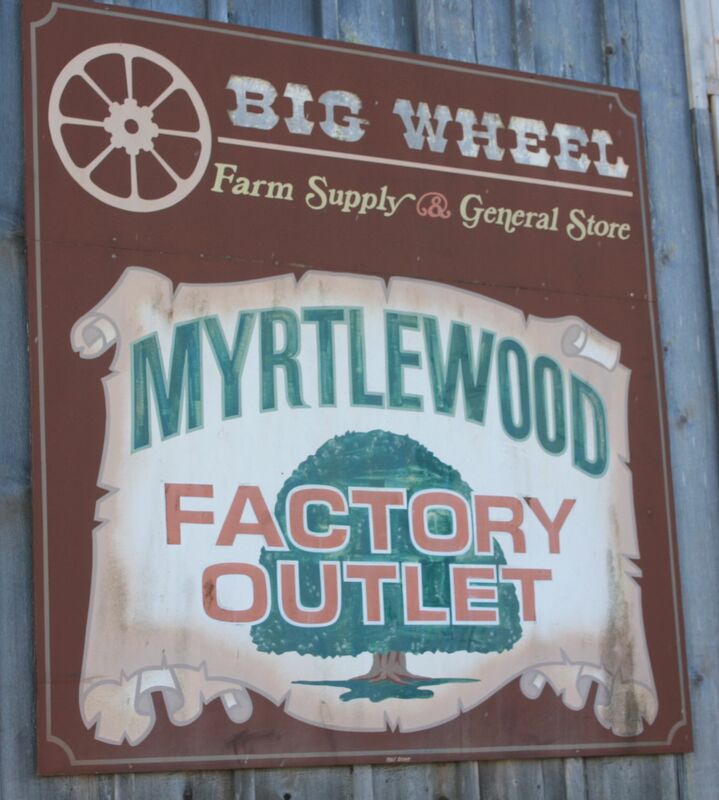 Curious about how myrtlewood products are made? Visit Woods of the West Factory and Gift Shop and watch the creation of key chains, jewelry, clocks, treasure boxes, cutting boards and bowls. Don’t forget to take some time to peruse the gift shop Hobby wood and lumber are also for sale.